If your family has been suffering from the flu, you may feel that your home is not as clean as it should be. Or perhaps you have been busy with other commitments and have neglected your normal cleaning duties. A sterile clean is the best way to achieve the best possible clean. Choose a day when the rest of the family is not at home, and tackle one room at a time. A flu sufferer can bring germs into the home. Gloves will protect your skin from the bleach. Fill your kitchen sink with hot water and 1 cup of bleach. 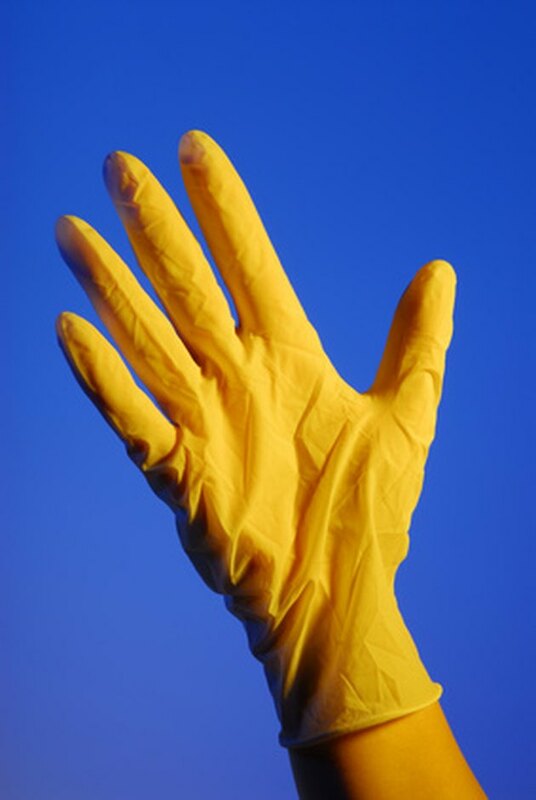 Put on rubber gloves to protect your hands. Germs can breed in trash cans. Put all trash from the room into a trash bag and take it outside. 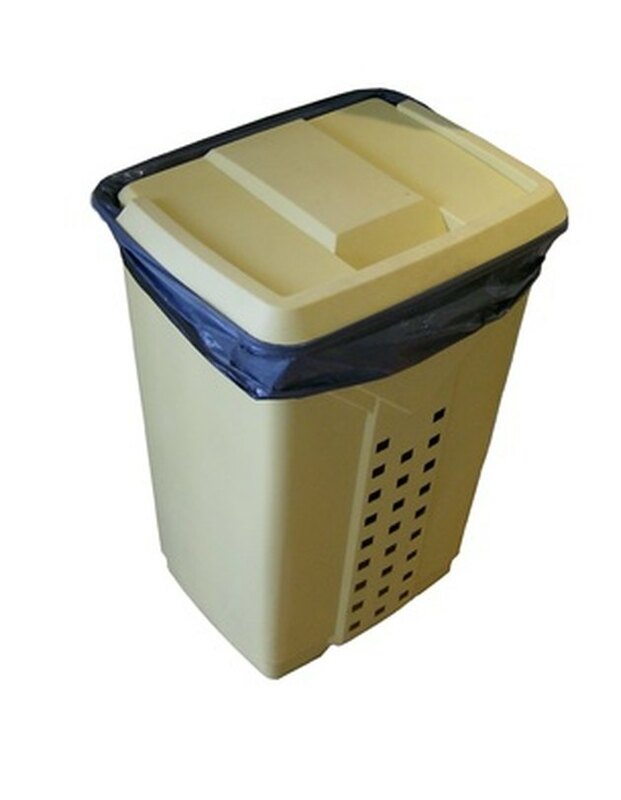 Clean the empty trash can before putting a new bag inside. Dampen a rag with the bleach mixture and use this to wipe down all large surfaces in the room, such as countertops, doors and walls. 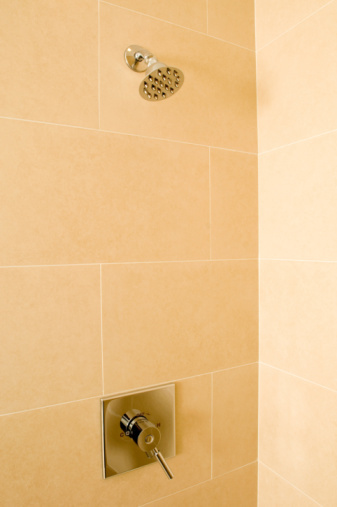 Clean smaller areas and items, such as furniture, light switches, door handles, computer keyboards and remote controls with the antibacterial spray and a clean rag. Use antibacterial wipes to get into small, tight spaces that are hard to reach. Remove all machine-washable materials from the room, such as bedding, cushion covers and curtains. Put a teaspoon of bleach into your washer before filling it with your load. Wash the load at a high temperature -- at least 60 degrees -- and repeat if necessary. 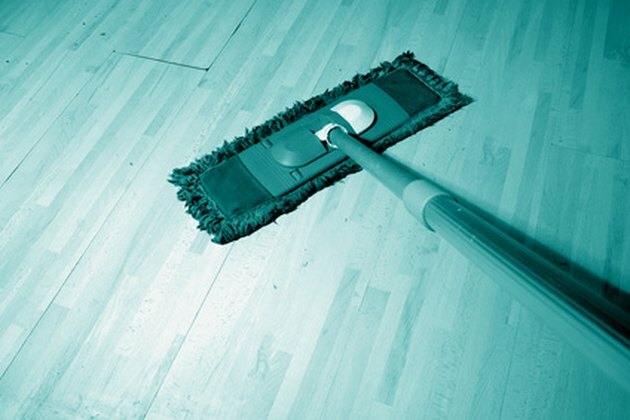 Use an appropriate cleaning tool for your floor surface. Mop wooden, tiled or laminate floors with hot water and 1 cup of bleach. If you have carpets or rugs, spray your vacuum filter with disinfectant spray and vacuum the carpets thoroughly.